Initially announced at the beginning of April, the Samsung Galaxy Star is a low end device that is meant to target the low-priced smartphone market. As for its specifications, we can tell you that it runs on a 1 GHz processor with 512 MB of RAM, a 3 inch QVGA display, 2 MP camera and 4GB of internal memory. It will also run on Google’s Android 4.1 Jelly Bean. 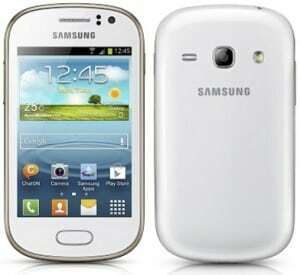 The dual sim Galaxy Star S5282 will be released in India on the 31st of July at the very low price of 70 EUR. Apparently this is one of the lowest prices a major manufacturer like Samsung has ever asked for a smartphone until now. The device is currently only announced for India and we are expecting further notice about other countries. The device will also come in a single sim version but we’ll come back with more news when we have them.